Time can play all sorts of tricks. Especially at present. Traditional methods of regulating where we are in the cosmos have been declared unfit for purpose, then crunched up and flattened out; like a car in a crusher. Perfect to be regulated, to be scrolled away in increasing fits of despair, or to apply as shortcuts to group think. But time can catch you out, especially when it appears in other, more creative, guises. 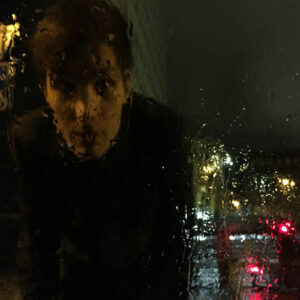 One such example is OtherWorld, the latest release from Estonian producer, soul singer and polymath, Mart Avi. OtherWorld is a glorious, modern soul-pop record that dives deep into a wyrd, blue lagoon of the senses and never seems to surface. We can come to that later on in this review. What this release reiterates – reminds us of maybe – is that the time we have is personal, and peculiar. And not to be messed with when used well. Like time itself, Mart Avi can creep up on you unawares. You may not have heard much of him, but over the last decade Mart Avi has, alongside his other projects, quietly created a catalogue of solo work (Crooner Tapes, After Hours, Humanista, Rogue Wave and now OtherWorld) that – when listened to as a whole – is nothing short of remarkable. And it’s sobering to think that this is the work of someone still in their mid twenties. A nerd who steals for creative purposes only, Mart Avi is something of a trickster, and OtherWorld cements this aspect of his work more than any other release. These 8 tracks are Odinesque / Odyssean voyages on a sea of sound. Like the great storyteller he is (a trickster trait, after all) he knows how to blend familiar and comforting elements with the new and the unpalatable. This is best heard on on the last track, the magisterial ‘The Silent Trespasser’, (a gliding romance Ferry and Eno forgot to put on the first Roxy LP), when Avi sings “have we been here before?”, and talks of boxing his shadow. It’s very unsettling but beautiful too. Of all his releases OtherWorld is the most restless, the one concerned with being on the move. ‘Back 2 Light: Okeanos’ is a perfect travelogue, albeit with no destination. And ‘Arcadia’ – courtesy of its propulsive rhythm and slap bass samples, is in a hurry to get to Arcadia, but has forgotten the street it’s on. Like the best travel records, OtherWorld is mildly disorientating, and a little bit Ballardian, however lush. It’s extremely suggestive too. While listening, I found myself pulling out a set of LPs that deal with dramatic and propulsive inner visions and visible movements; Julian Cope’s Rite series. Some forgotten mnemonic flotsam also broke loose, nudging me to watch the film of Marvin Gaye’s sojourn in the relatively humdrum seaside town of Ostend. Images of Marvin jogging on the beach, Marvin driving through the night, Marvin wondering what to do next when being ignored by dart playing locals. Scenes that spoke of nothing and everything. Just like this record, in fact. What is the opener ‘The Future Smells Like Perfume’ about, anyway? A piano descend that wouldn’t be out of place on an Associates record does battle with digital sound washes that aren’t too far away from Klara Lewis in spirit. But telling you that is not enough to capture the track’s inner mystery. Maybe we have to go back to the past, imagine Marvin in his car, cruising the boulevards. You could pitch OtherWorld as a subtle record of the senses; smell, sounds, sights are invoked and referenced. A listen can wash over you like a wave, or catch you out with the oddities of the lyrics and the sheer dramatism invoked in the musical scores. ‘Let Me Be Me’ is a request, but to who? The shimmering synth wash that acts as both a build up and sonic backdrop to ‘Planescape’ is monumental, and the rhythms on ‘Back 2 Light: Okeanos’ itch away, but what does it signify or reveal? Nothing and everything? After a while you can relax (or surrender) and experience OtherWorld as a subtle record of the semi-conscious. ‘Half-Life’’s glorious Bowie-esque opening cascade of synths becomes a moody walk through some continental park; thanks to the odd percussive tap and a major-minor key vocal melody that sounds as if it’s on the verge of cracking up mid-croon. But it’s not something that should be described in a review. Despite all the shadow boxing, a clear vision runs through all of Mart Avi’s work. That of being yourself. Rather than worry about the latest musical style, the stylish Avi has carved a unique musical space for himself in the middle of everything else. Akin (and, yes, the metaphor can be extended digitally) to that of a spider on a web. And for one so in tune with the cultural zeitgeist and adept at using what the modern world has to offer, Mart Avi is an old spirit. You could also cast him as the Wilmington Man in code form, holding the door open to rock and roll’s past in a way that is utterly at odds with the increasingly inane (not to say mad), playlist and stats-driven conformities of the now. Yet, to twist again, this is the latest chapter in a hyper-modern affair, a timeless pop music that transcends the algorithmic idiocy of copying and points to new possibilities, new horizons. As Avi sings in ‘Stuck in an Attosecond’ “There should be something…” You need to check it out.